Welcome back to Day 2 of STEM week here on MommyMaestra! Yesterday, I talked about Math. Today, I want to share with you a great resource for Technology and Engineering. 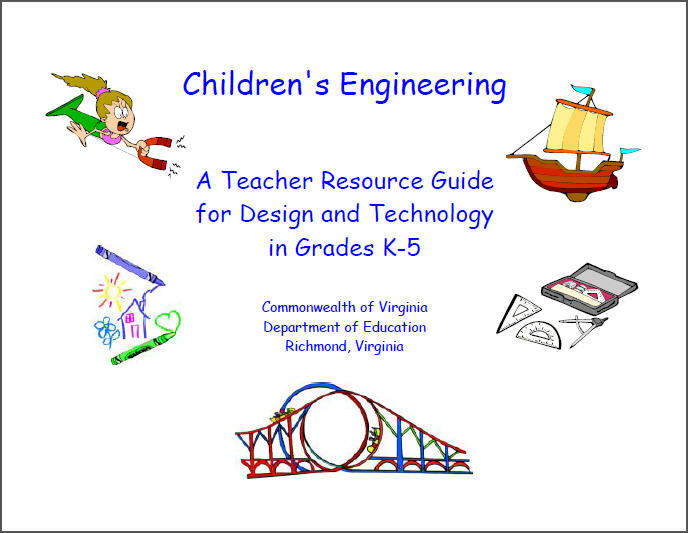 The Virginia Department of Education has made available as a free download their Teacher's Resource Guide for Design & Technology. The guide contains 24 engineering actitivites for students in kindergarten through 5th grade. I love this program! Not only does the guide present a challenge to the students, but it also helps to walk them through the process of designing and building the project, helping the student to think like an engineer. For each activity, the guide provides a page for the student to state/write out the problem, another worksheet for brainstorming solutions, another work page for taking notes on the final design, a page with questions for the student to answer that test their design, an evaluation page, and a final sheet where the kids can attach photos of their design. At the beginning of each activity is information for the teacher so that he or she can understand the goals of the activity (what the student should learn), as well as a Design Brief that states the background information, the design challenge, the criteria, and the materials. At the end of each lesson there is a rubric for the teacher to evaluate the student. 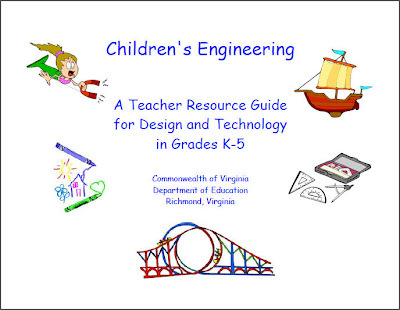 So if you're looking for hands-on activities that inspire the engineer hiding inside your child, visit the Virginia Dept of Ed's website to download this excellent guide. It would make a really great learning project for the summer. Thank you Monica! I was looking for activities like that for my younger son whomloves to build...and destroy things to see how they are made. I'm going to check the site. Great, Mayra! Let me know what you think!